PattyG and I found out that this little pop up bar above K10 in Liverpool Street has pinball machines, and that on Monday night they are free. So the first Monday we were free, we got ourselves in there to play pinball to our heart's content (with a bit of free foosball thrown in as well). There are only two pinball machines, but that was completely fine as there were only two of us. Interestingly, most of the other people at the bar seemed interested only in the food, which meant we had very little competition for the machines. 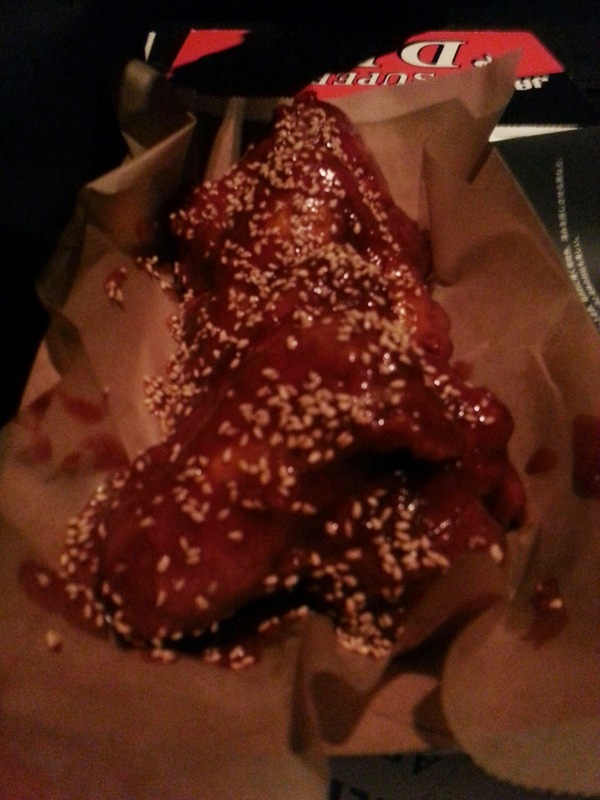 But this is a food blog - so I should mention that the fried chicken wing were crisp and meaty (though a little sweet for my liking) and the buns are soft, pillowy and tasty - I'm not sure I'd go there again without the pinball attraction, but it was certainly a fun night out. Oh, and they have my favorite draft beer (Asahi).